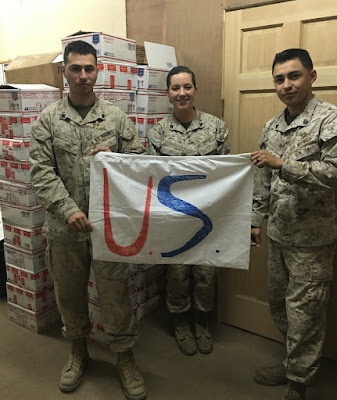 Care Packages for Soldiers: Marines Stationed in Iraq Receive Care Packages that Contained Decorated Pillowcases! 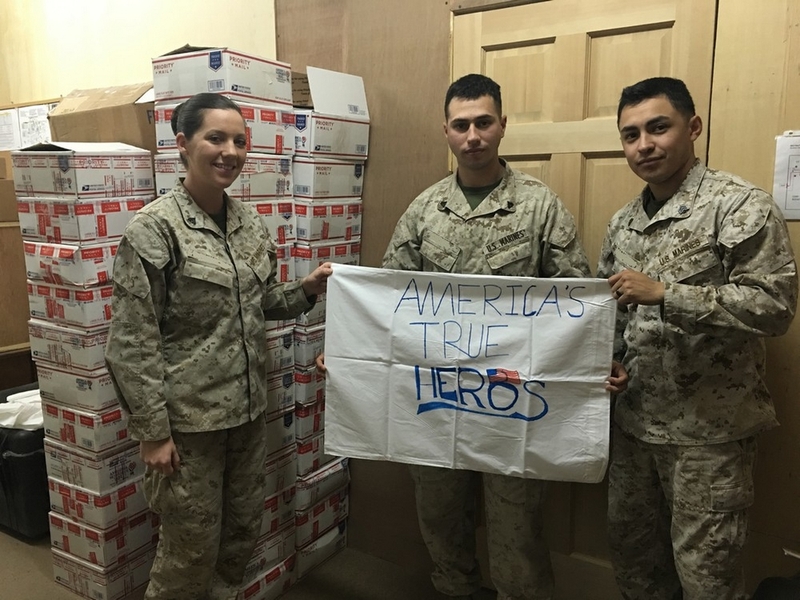 Marines Stationed in Iraq Receive Care Packages that Contained Decorated Pillowcases! Some of the care packages from our January packing party are making it to their destinations! The Airborne Angel Cadets of Texas received a thank you note from Marines and Sailors in Iraq for the boxes they received. They were full of toiletries, food and snacks but they also contained some of the pillowcases that were so beautifully decorated by various organizations from across the country. Even the smallest item can make a big difference to the troops that are stationed far from home. "I have attached a few photos with Marines holding the pillow cases in front of all the boxes you sent. Please pass onto the volunteers and anyone involved thank you from the Marines and Sailors of CLB 1. It is always nice to receive snacks, blankets, hygiene items, etc. from the states and we truly appreciate everyone involved with volunteering their time and resources to send these items out here. 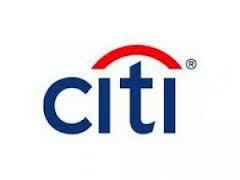 Thank you for your continued support of CLB 1 and I hope you have a great day." One of the decorated pillowcases that were included in the care packages. Note the care packages in the background! Marines holding a decorated pillowcase received in a care package..